Fear of being deported is keeping some undocumented immigrants in Flint from having access to information about the lead in the city's water, and from getting filters and bottled water. 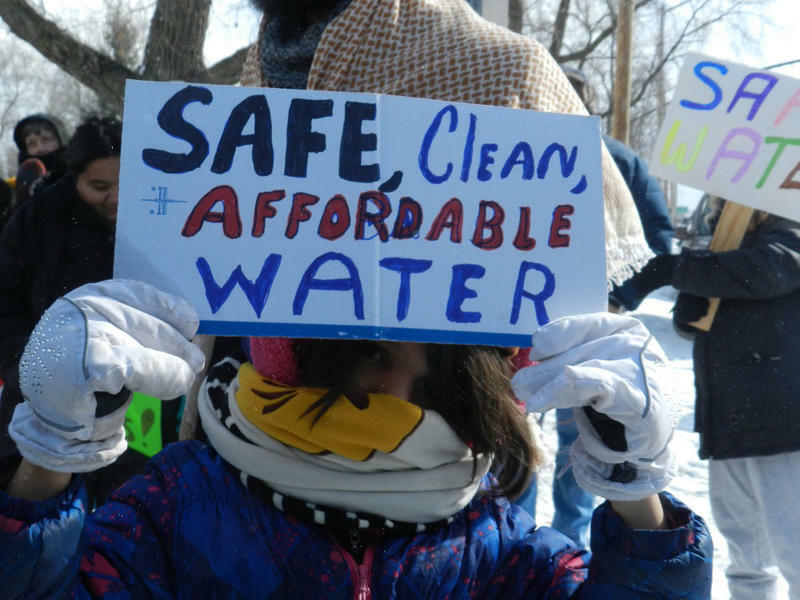 It seems unthinkable that some people in Flint might still be drinking water from the tap. But some undocumented immigrants in the city are just now finding out that lead contamination has made the water unsafe to drink. That means some babies and toddlers may have been drinking poisoned water for weeks or perhaps months longer than others. Jessica Olivares knows the new routine of daily life in Flint well by now - buying cases of bottled water at the grocery store, standing in line to get free water at the nearest fire station. Olivares is in legal limbo; she's been waiting nearly two years for her U.S. residency application to be approved. Her son is now almost two. He was born a month before the city switched to using highly corrosive Flint river water instead of water from Detroit. He was formula-fed, sometimes using water from the tap. Olivares says first there was a boil water advisory due to e-coli. Undocumented immigrants sometimes live in conditions like this - because they can't complain to the authorities about unsafe housing. This photo is from The Genessee County Hispanic/Latino Collaborative, which says: New request!! 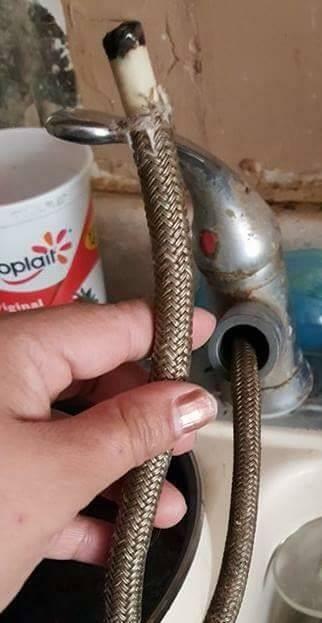 We are in need of faucets too! There are families who do not have a working faucet but can still use it for water. Please help! This family has a baby!!!!!! Then, there was too much of a toxic chemical used to get rid of the e-coli. "They were saying, 'Oh, it's okay to drink it, it's okay now.' I would start using it again, and then after while, they were like, 'No.'" The 'no,' was after state officials finally admitted there was enough lead leaching from the system's old pipes to poison children. 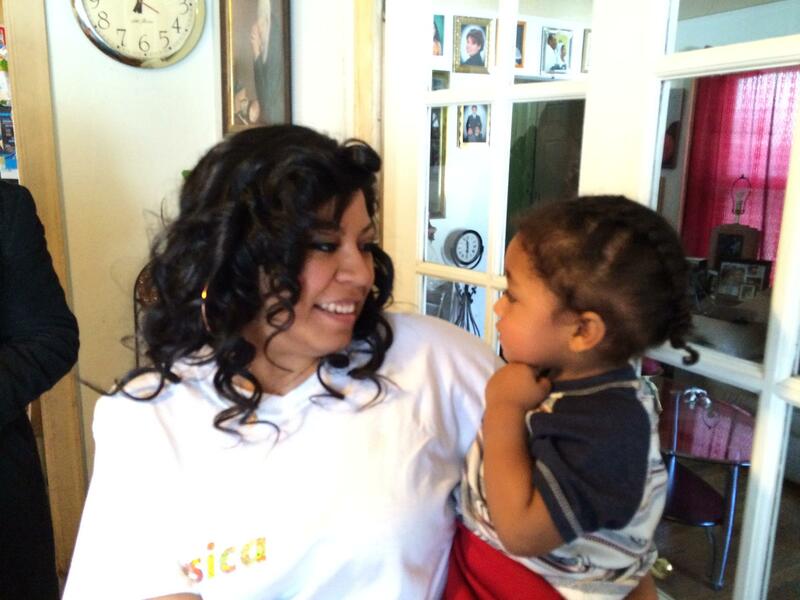 Oliveras hasn't gotten her son tested yet. Recently, National Guard troops were called in to visit every home in the city, delivering free water filters and water. But Olivares' sister, Juani Olivares, says there are roughly a thousand undocumented immigrants in Flint - and many have spent years hiding from authorities to avoid deportation. "Water was being delivered," she says, "and they (immigrants) were not opening the door. Because that is the one rule. Do not open the door." Let's face it, undocumented immigrants aren't paranoid: The government really does want to get them. Juani Oliveras works with the Genesee County Hispanic/Latino Collaborative. She says rumors are flying about sporadic raids at grocery stores. "That's another reason why people are not getting the water," she says. A spokesman for Immigration and Customs Enforcement says there's absolutely no truth to the rumors, and that ICE does not target people in the midst of a humanitarian crisis. But he didn't answer a follow-up question whether any undocumented person in Flint had been apprehended at a grocery store in recent weeks. There's yet another problem keeping some people from getting help. Paul Donnelly is a Deacon at St. Mary's in Flint. "I am bilingual," he says. "And so I forget that some people are not bilingual. Everyone seemed to know what was going on. It didn't occur to me that some people, because they don't speak English, would not know that there's lead in the water and the water's dangerous." Donnelly introduces me to one of these people. Her name is Maria. She's been an undocumented resident of Flint for nearly 24 years. She's cut off from the news. There is no Spanish language radio or TV station in the city. Maria found out only five days ago about the water. "Yeah, is crazy," Maria says. "We in Mexico drink the water and there's nothing happen, and I don't know what happen right here. It's scary - more for the kids." Genesee County's Health Department does provide "no questions-asked" blood testing, but you have to know to ask for it. This week, there's another door-to-door campaign going on by local Spanish-speaking volunteers from groups like the Genesee County Hispanic/Latino Collaborative. 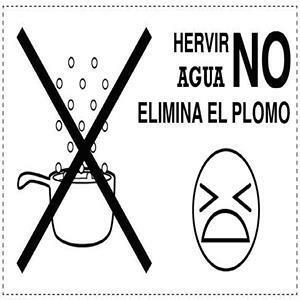 They want to make sure every person in the city knows "el agua no potable" - the water's not safe to drink. Four of the nation’s largest bottled water distributors are pledging to donate millions of bottles to children in Flint. 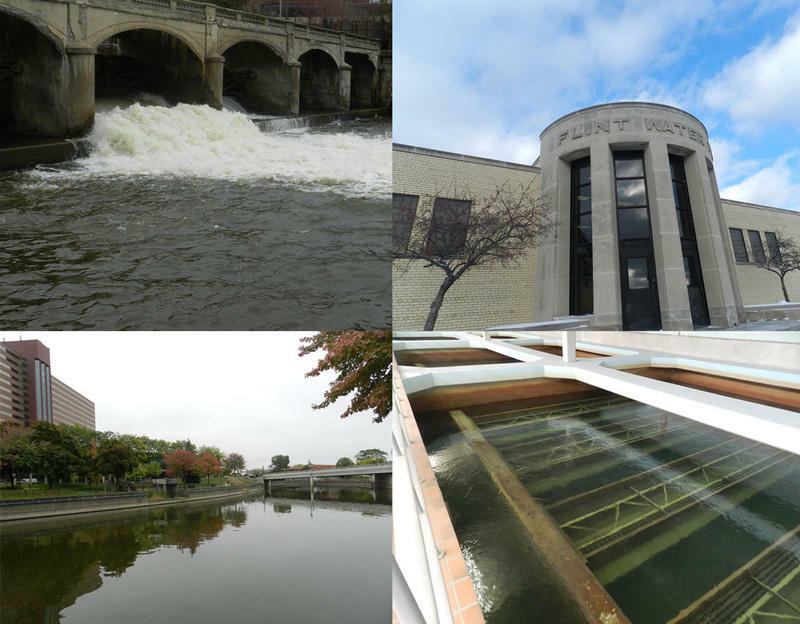 The city’s drinking water is contaminated with lead. And lead can have a detrimental effect on the health and development of young children. 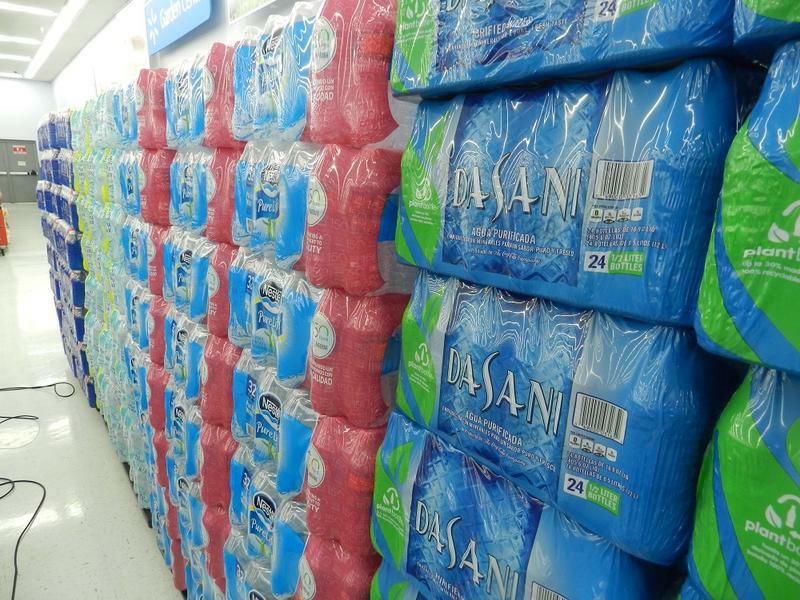 Walmart, Coca-Cola, PepsiCo and Nestle say they will give more than six million bottles of water to take care of the needs of 10,000 Flint area school-aged children through this year. Kathleen McLaughlin is the president of the Walmart Foundation. She says there are still some issues to be worked out. Governor Snyder met behind closed doors with the national president of the NAACP in Flint Tuesday night. 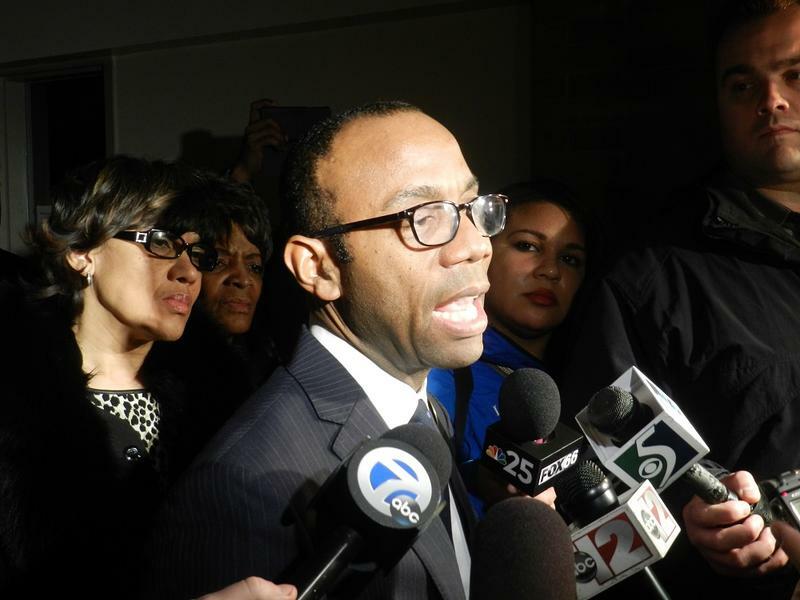 NAACP president Cornell William Brooks said he, Gov. Rick Snyder and Flint Mayor Karen Weaver had a “frank” discussions about Flint’s drinking water crisis. Mark Masters of TDM Realtors in Flint says it's hard to keep tenants and even harder to attract new ones. "I mean one of the first questions I get, it used to be 'is that a good neighborhood' and now it’s 'is that Flint water,'" said Masters. 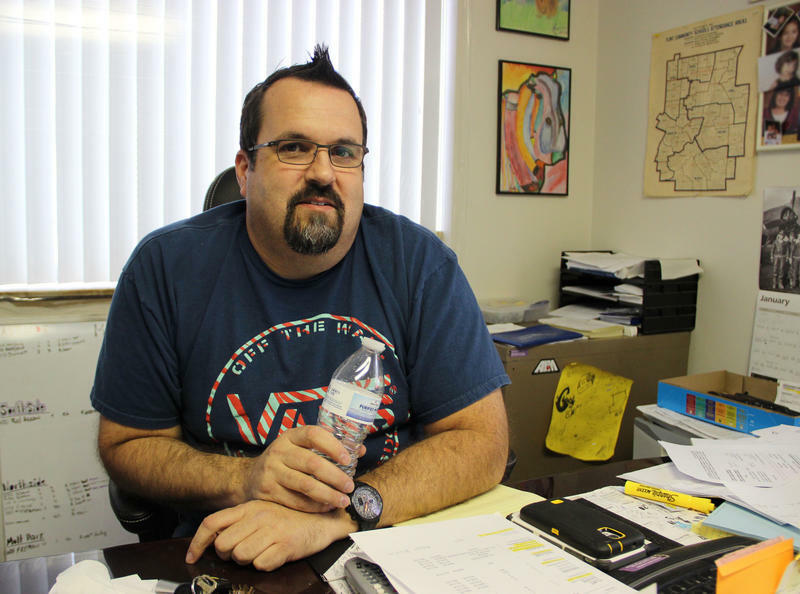 Last spring he started getting calls from some of the company’s 300 renters that something wasn’t right with their water. Flint officials say the city’s water utility could run out of money by the year’s end as more and more Flint citizens skip paying bills amid the crisis with lead-tainted water. City Administrator Natasha Henderson told city council members at a meeting Monday that the public health emergency is driving down collections on water bills. She says it's an "imminent concern" and it is leaving the city in a "very precarious situation." Michigan Senators Gary Peters and Debbie Stabenow, as well as Congressman Dan Kildee, are asking Washington to help enroll all eligible Flint kids in Head Start. The three sent a letter this week to Blanca Enriquez, director of the Office of Head Start, asking that the program be made available to all eligible children in Flint to help mitigate the damage of the lead-tainted water. 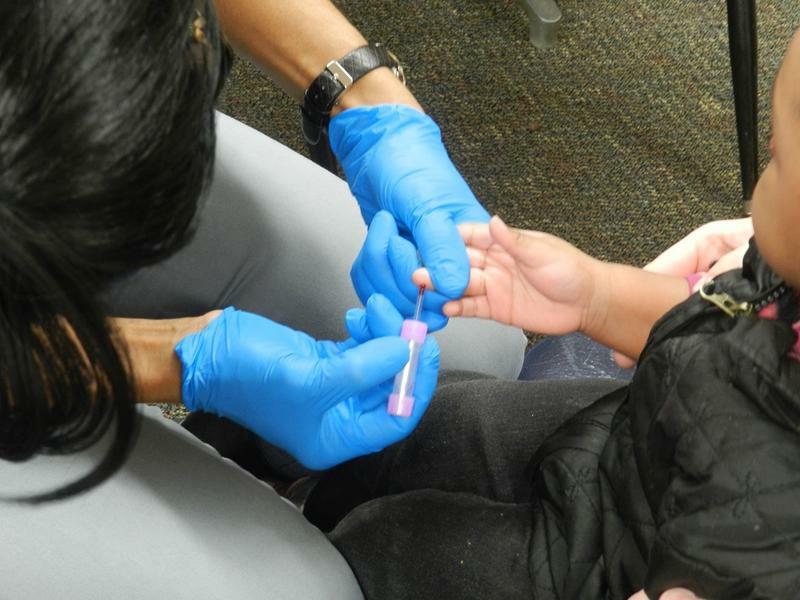 Dozens of families turned up for free blood lead level testing in Flint today. Nurses tried to soothe the fears of toddlers, telling them “it’s just a little poke” before using a small lancet to prick the child’s finger. Many of the children were not soothed. But many parents hope the clinic will ease some of their worries.